Coolpad is all set to launch a new smartphone in India next week i.e., on September 30. The launch was scheduled for today, however, for some reasons it was postponed. 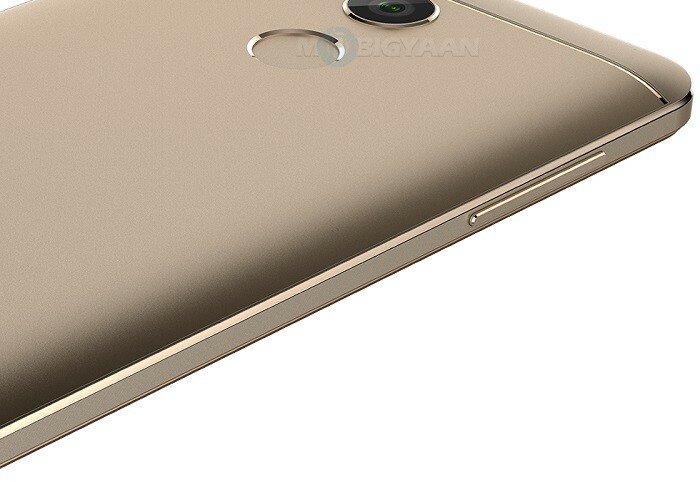 While we don’t know which smartphone Coolpad is going to launch next week, an image of Coolpad smartphone has leaked. As can be seen from the image above, the device will come with a fingerprint scanner at the back of the device. There’s also a camera above the fingerprint scanner, however, we don’t know how much Megapixels it is. The flash is not visible so obviously it’s on the left side of the camera. At the left side of the device is the volume rocker. The power button is nowhere to be seen which means it’s located to the right side of the device along with SIM card slot, and, microSD card slot if the device supports storage expansion. Also visible is the unibody design along with a metallic frame on the side. Going by what Coolpad has been teasing on its social media accounts, the device will come with a front facing flash and will have Qualcomm’s Snapdragon SoC under the hood. As Coolpad’s heavily using the tagline “Beast Among the Best”, we reckon the device to come with at least 4 GB RAM and around 3500 mAh battery. Coolpad Forums suggest that the smartphone going to be launched on September 30 would be the Cool1. However, that’s highly unlikely as the Cool1 comes with dual rear cameras which are missing from this leaked image. So, any guesses as to which smartphone will be launched by Coolpad in India on September 30?